Drugs (Oxycodone) suppressed when officer detained driver to wait for drug dog on seatbelt ticket. Appellant Dravien Jones appeals the denial of his motion to suppress evidence found in his vehicle during a traffic stop. Consistent with the Supreme Court’s recent decision in Rodriguez v. United States, 135 S. Ct. 1609 (2015), we agree with Appellant that the search occurred during an illegal detention. We therefore reverse his conviction. An officer of the Sebastian Police Department stopped Appellant after observing that he was driving his vehicle without wearing a seatbelt. During the stop, Appellant provided the officer with his driver’s license and admitted to the officer his seatbelt was broken. The officer testified that Appellant “appeared excessively nervous” during the stop and that the address on Appellant’s license may have been incorrect. Based on these observations, the officer sought permission to search Appellant’s vehicle. Appellant refused to grant such permission. The officer instructed Appellant to exit the vehicle and conducted a dog sniff of the vehicle. 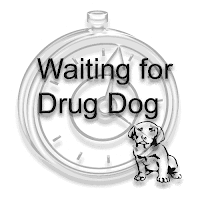 The dog alerted during the sniff, which led the officer to search the vehicle and find approximately twenty oxycodone tablets. 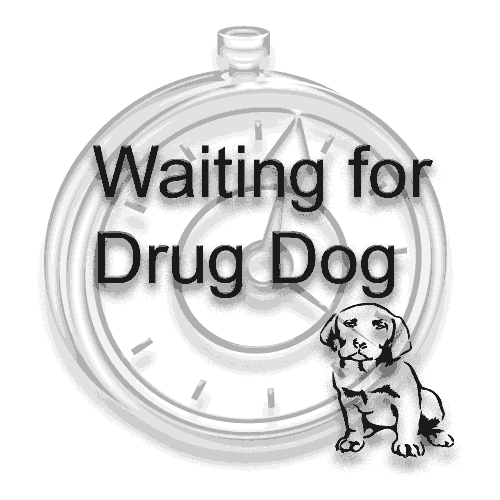 The officer estimated approximately three minutes elapsed between the beginning of the traffic stop and the dog sniff. The officer stated that although Appellant provided him with his driver’s license, the officer never did anything with the license. Similarly, the officer never wrote a citation for a seatbelt violation, nor did he begin writing such a ticket. "In this case, the officer abandoned his reason for the traffic stop (writing the seatbelt citation) and instead chose to conduct the sniff of Defendant’s vehicle. Once the officer decided against writing the citation, the purpose for the stop was complete and the justification for the stop was no longer valid." Appellant was charged with trafficking oxycodone. He moved to suppress the discovery of the oxycodone, alleging the officer’s search of his vehicle was unconstitutional. The trial court denied the motion, finding that although the officer lacked “articulable suspicion of criminal activity” prior to the search, the stop was not prolonged by the sniff, as it occurred within the time it would have taken to write a citation. Appellant entered a plea of no contest and expressly reserved the right to appeal the trial court’s denial of his dispositive motion to suppress evidence incident to the search. He was adjudicated guilty and sentenced to a three-year mandatory minimum sentence in prison. “The standard of review applicable to a motion to suppress evidence requires that this Court defer to the trial court’s factual findings but review legal conclusions de novo.” Backus v. State, 864 So. 2d 1158, 1159 (Fla. 4th DCA 2003). 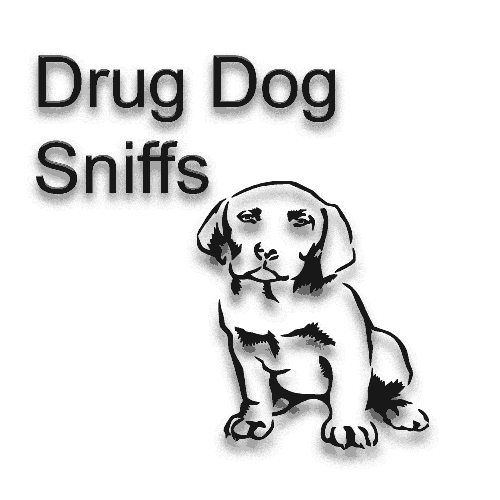 The Supreme Court recently addressed the acceptable scope of detentions with regards to dog sniffs in Rodriguez. The Court held that “the tolerable duration of police inquiries in the traffic-stop context is determined by the seizure’s ‘mission’—to address the traffic violation that warranted the stop, [Illinois v.] Caballes, 543 U.S. [405,] 407 [(2005),] and attend to related safety concerns.” Rodriguez, 135 S. Ct. at 1614. “Because addressing the infraction is the purpose of the stop, it may ‘last no longer than is necessary to effectuate th[at] purpose.’” Id. (alteration in original) (quoting Florida v. Royer, 460 U.S. 491, 500 (1983) (plurality opinion)). The officer’s “[a]uthority for the seizure thus ends when tasks tied to the traffic infraction are—or reasonably should have been—completed.” Id. When determining the reasonable time to complete the required tasks, the court must also consider the “whether the police diligently pursue their investigation.” United States v. Place, 462 U.S. 696, 709 (1983). Prior Supreme Court cases have held that a traffic stop “can become unlawful if it is prolonged beyond the time reasonably required to complete th[e] mission” of issuing a ticket, Caballes, 543 U.S. at 407, and that a seizure is lawful only “so long as [unrelated] inquiries do not measurably extend the duration of the stop.” Arizona v. Johnson, 555 U.S. 323, 333 (2009). Rodriguez, however, eliminates any ambiguity about the reasonableness of the time required for the officer to complete a traffic stop. As the Court made clear, “[i]f an officer can complete traffic-based inquiries expeditiously, then that is the amount of ‘time reasonably required to complete [the stop’s] mission.’” Rodriguez, 135 S. Ct. at 1616 (second alteration in original) (quoting Caballes, 543 U.S. at 407). “The critical question, then, is not whether the dog sniff occurs before or after the officer issues a ticket . . . but whether conducting the sniff ‘prolongs’—i.e., adds time to—‘the stop.’” Id. In this case, the officer abandoned his reason for the traffic stop (writing the seatbelt citation) and instead chose to conduct the sniff of Defendant’s vehicle. Once the officer decided against writing the citation, the purpose for the stop was complete and the justification for the stop was no longer valid. See Royer, 460 U.S. at 500. (“The scope of the detention must be carefully tailored to its underlying justification.”). Because the officer no longer had any valid reason to detain Appellant, the search of Appellant’s vehicle was a violation of his Fourth Amendment rights and, as such, the evidence found as a result of the search should have been suppressed. This is not to say that officers can never conduct dog sniffs during routine traffic stops. 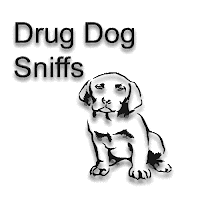 A sniff is still permitted so long as, in the absence of an articulable suspicion of criminal activity prior to the search, it does not extend the time it takes the detaining officer to complete the tasks which justified the detention. For instance, the Supreme Court found the dog sniff search constitutional in Caballes: “While [the officer who had initiated the traffic stop] was in the process of writing a warning ticket, [the second officer who had arrived on the scene] walked his dog around [the defendant’s] car.” Caballes, 543 U.S. at 406.
produce any evidence of another crime that would justify the search of Appellant’s vehicle. Furthermore, even if Finizio were not distinguishable, our precedent from 2001 cannot override the United States Supreme Court’s holding from just last year. We agree with the trial court that, prior to the canine search at issue, the officer had no “articulable suspicion of criminal activity” on the part of Appellant. Thus, the officer had no legal authority to detain Appellant outside the limited purpose provided by the traffic violation. Once the officer abandoned this line of inquiry, the justification for the stop had expired and Appellant was free to leave. The dog sniff, therefore, prolonged the stop in violation of Appellant’s Fourth Amendment rights. The evidence obtained as a direct result of the sniff should have been suppressed. Accordingly, we reverse and remand the case to the trial court to dismiss the charges against Appellant. STEVENSON and MAY, JJ., concur. Appeal from the Circuit Court for the Nineteenth Judicial Circuit, Indian River County; Robert L. Pegg, Judge; L.T. Case No. 312013CF000901A. Kai Li Aloe Fouts of Eisenberg & Fouts, P.A., West Palm Beach, for appellant. Pamela Jo Bondi, Attorney General, Tallahassee, and Kimberly T. Acuña, Assistant Attorney General, West Palm Beach, for appellee.